You’ve seen the prowess of our most robust class, the Juggernaut, and even played under the cold and snowy map, Site Agalon. 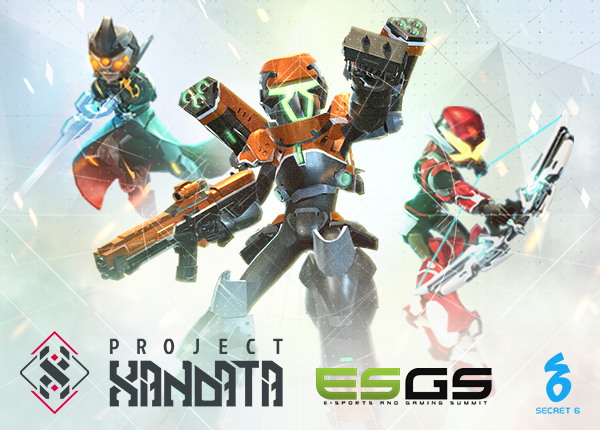 If you enjoyed those and can’t wait to play more of Project Xandata, we will be back for this year’s Esports and Gaming Summit (ESGS). Experience our new updates with the best gaming notebooks and the GSP 350 Surround Sound Headphones, thanks to our partner, MSI and our sponsor, Sennheiser. So turn up your adrenaline in full blast and get ready because Project Xandata will be open for free play sessions where players can expect smoother gameplay experience and better graphics. Experience the new class skills ‘ from grenades to ultimates, and Weapon Perks such as bullets burning your opponents on every shot, or an increased range on your weapon, that are sure to enhance your playstyle variety. What’s more, drop by the Secret 6 booth and take part in the Project Xandata’Prestige Pass Challenge.’Complete the missions by playing Project Xandata and win up to three exclusive prizes; and in partnership with MSI, you can also win bonus prizes from the MSI Hour, and’get a chance to win an MSI gaming notebook on the grand draw of the MSI Passport activity that happens on Sunday, October 28, at 5PM! Join us at ESGS 2018 on Oct 26-28, 2018 at the SMX Convention Center in Pasay City. For Project Xandata updates and ESGS activities details, follow us on the Project Xandata Facebook page and Twitter Account. For ticket prices and other event updates, follow the official ESGS Facebook Page. For news on the latest and greatest gaming notebooks, check out MSI Gaming on Facebook and for more details about Sennheiser audio product line and services, visit Sennheiser PH on Facebook.